This SIEG Shear and Bending Brake is a useful tool for precision cutting and bolding of thin sheet metals. Max. 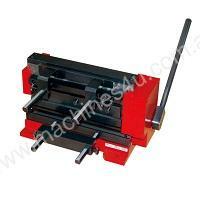 cutting width: 200mm / 8"
Depth stops on shear and bending brake.